The perfect anniversary gift to show her, I did then, and I still do choose you! 1) Card will be signed with the name submitted. Please note the name will be written exactly how you type it in the form. 2) We surely hope no harm will ever come as a result of one of our Gifts. However, The Yes Girls is not liable for any personal injury caused by any of our products. 3) Shipping policy: Gifts will be packaged within 2 business days. Gifts will be shipped via UPS or USPS according to your selected shipping option during check out. Unfortunately at this time we do not offer international shipping. 4) Damaged, Lost or Stolen: The Yes Girls is not responsible for damaged, lost or stolen Gifts. If your Gift is delivered in a damaged condition, please email shop@theyesgirls.com within 24 hours of receiving package. Should your package be lost or stolen, please contact your local USPS or UPS directly with your tracking number. Please note that as per USPS and UPS regulations, a package cannot be declared as “lost or stolen” until 10 business days from the delivery date have passed. 5) Return policy: There are no returns or refunds on any Gifts, all sales are final. 6) Privacy: We will not share your information. 7) Cancellation policy: If you have a change of heart, although we would be bummed, please send us an email within an hour of placing order to cancel. 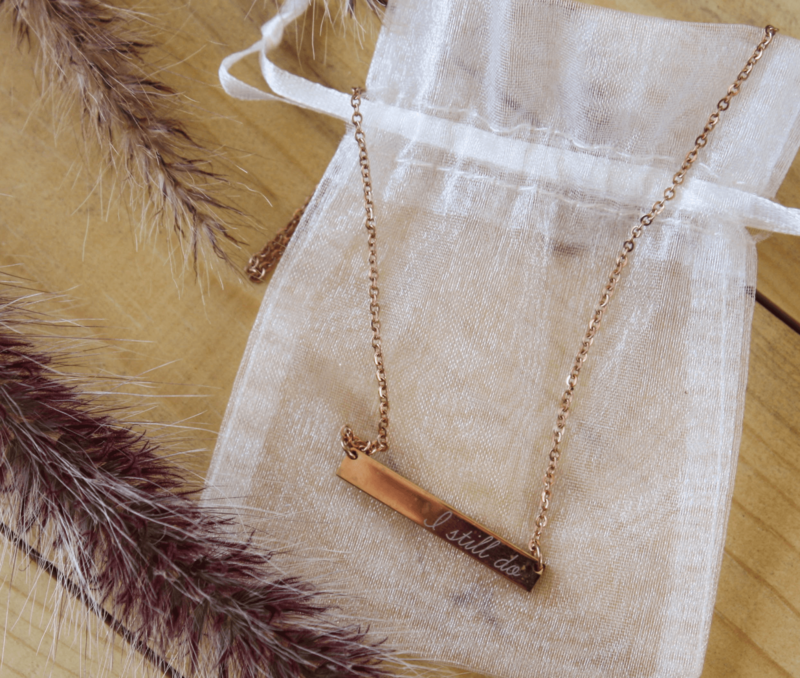 Send email titled “Cancel NECKLACE Gift” to shop@theyesgirls.com.